← 2012 Chester County Cupcake Clash! Below are some events to look forward to coming this September! Swingin’ Summer Thursdays in Downtown West Chester, presented by the West Chester BID and the Borough of West Chester’s Parks and Recreation Dept. The September event will take place on Gay Street, between High & Matlack, with Rock tunes provided by Dirk Quinn Band, and the Funk sounds of Wave Radio. Start the weekend right with First Friday. Stores open late. 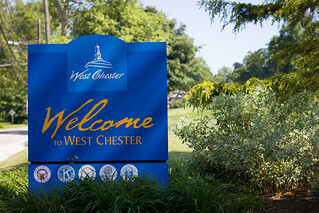 It’s the perfect time to come to Downtown West Chester and see what’s new and what’s cool! WCU Live! presents Tempesta di Mare performing baroque music on period instruments with “The energy of a rock solo and the craft of a classical cadenza,” says The Washington Post. Performance begins at 7:30pm at Madeleine Wing Adler Theatre at West Chester University. Adults $20; Seniors/Students $15. Details at WCU Department of Cultural & Community Affairs. Pingback: 3rd Annual Chester County Road Rally « Kimberley Vassal Insurance Services, LTD.